Opiates are drugs that are used in many medications as well as abused illegally. They are also highly addictive. Opiates can cause many issues for individuals who become addicted or even physically dependent on them, as they cause withdrawal symptoms in those who do. Often, people must seek treatment for opiate abuse and addiction. The NIDA Teen describes opiates as “powerful painkillers.” This is one of their many functions, but opiates are drugs that diminish pain sensitivity. They also “depress body functions and reactions” and “cause a strong euphoric feeling” when a person takes them in high doses (DOI). Opiates can be mild but sometimes affect a person very strongly if they are a more intense type or are taken in large quantities. This is why they are used for both medical and recreational purposes and why they can also be very dangerous. Where Do Opiates Come From? 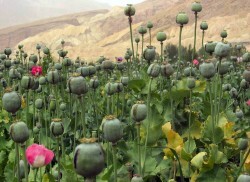 Opiates derive in some way from the opium poppy plant. Morphine: an opiate analgesic that “works by changing the way the brain and nervous system respond to pain” (NLM). It is often abused as well. There are many other types of opiate-based drugs, but these three are naturally occurring in the poppy plant. There are several terms for different types of narcotics, or opiate-based drugs. What is the difference between opiates and opioids? Opiates are substances which occur in nature and are not man-made. Opioids, however, are either synthetic or semi-synthetic, which means that all or some of the ingredients or processes are not naturally occurring. Opioid is also the general term for any and all opiate-based drugs, so even natural opiates may be called opioids if a blanket term is needed. But opiates are generally referred to when specifically natural substances are being discussed. Opiate use can also cause many long-term effects such as addiction, overdose, and endocarditis (in the case of heroin abuse). People could also seriously injure themselves while using opiates and not realize it because their tolerance for pain will be so high. Opiates can be dangerous if they are used improperly, whether they were prescribed or not. You should never use opiates in a way or at a dosage that was not prescribed by a doctor, as they have a very high chance of causing addiction. Opiates can affect the mind, causing a person’s reward system in the brain to change. Though many opiates are legal, one should be cautious when using them. Opiates Street Names - Opiates are drugs which derive either naturally or synthetically from the opium poppy. Street names are often used to conceal drug use. Trends in Opiate Addiction Treatment - Overcoming an opiate addiction is certainly a process. Thanks to developments in technology and psychology, there are several effective treatment options. Types of Opiate Addiction Treatment - Treatment is highly recommended when a person is working to overcome an opiate addiction. Medication and counseling are important components of any treatment program, whether inpatient or outpatient. Warning Signs of Opiate Use - Opiate abuse is a problem affecting a huge portion of Americans today. Opiates are now known to be dangerous, addicting drugs. They are deadly, as well, with many people dying each day due to opiate overdose.